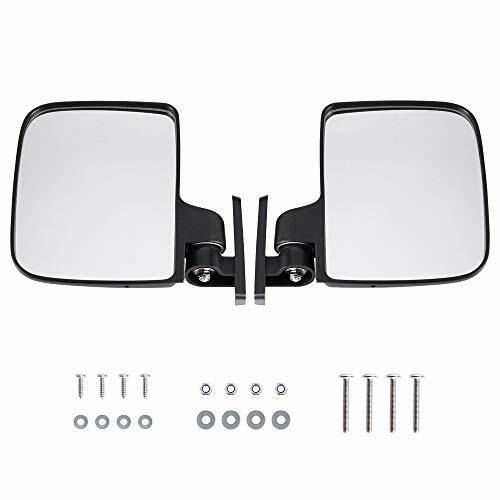 Sporty side mount rear view mirror just like the mirror on your car. 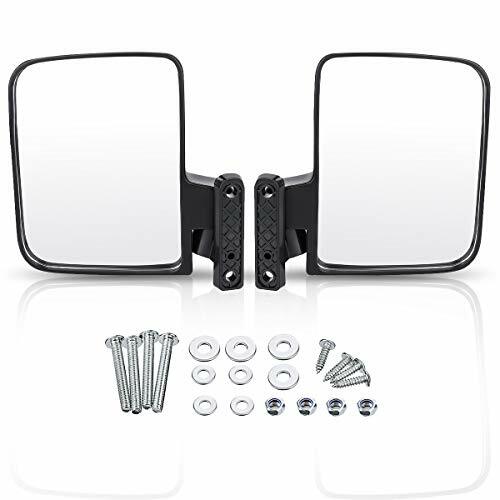 Allows you to adjust for different drivers.It's side view mirror for utility vehicles and side by sides features. 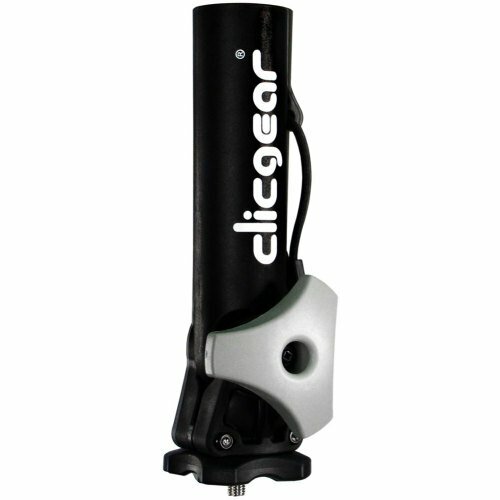 It boasts foldaway and breakaway features enabling it to fold forward or backward on impact to keep them from breaking. They have a ball and socket joint to facilitate a broad range of viewing angles. The high impact plastic construction of the housing resists damage for years to come. 100% MONEY BACK GUARANTEED. ORDER NOW! WORRY FREE! Any problem please feel free to contact us. Protect your golf car from sun, weather damage and dirt. Handy rear zipper for easy access and installation. Weather protected fabric won't stretch or shrink. Good fabric for maximum water resistance and repellency. Free carry bag to storage. Color: Black. Material: High quality Polyester. NOT a cheap nylon cover like others on the market. Weather protected fabric won't stretch or shrink. 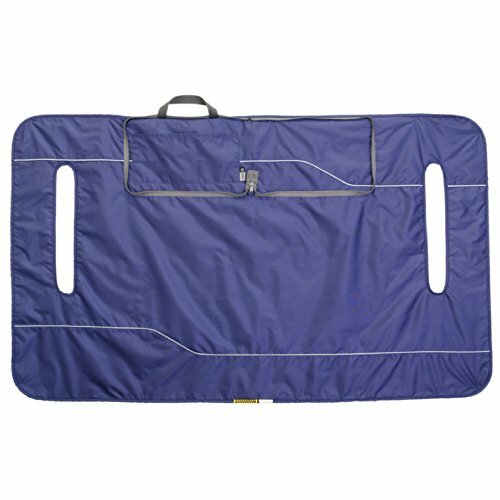 Large Size: 112 X 66 X 48 Inches, fits all standard 4 passenger, EZ GO, Club Car and For YAMAHA golf carts. Free carrying bag included for easy storage. Zippered Access: Back zipper for easy access into the cart without even removing the cover. 100% MONEY BACK & 1-YEAR WARRANTY: If for any reason you are not satisfied with your purchase, please contact us, we are committed to making it right for you. 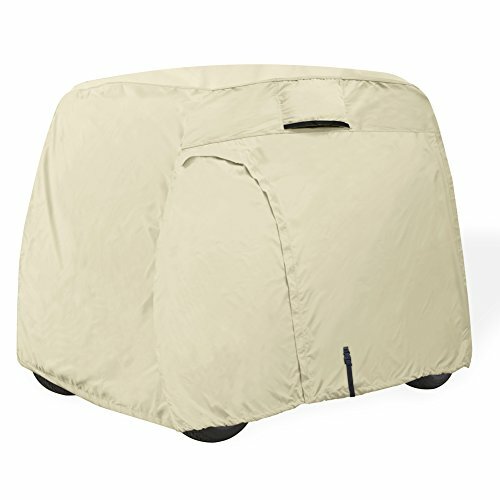 Water and UV resistant golf cart cover marine grade 600D polyester fit for most two or four passenger golf cart. 1. 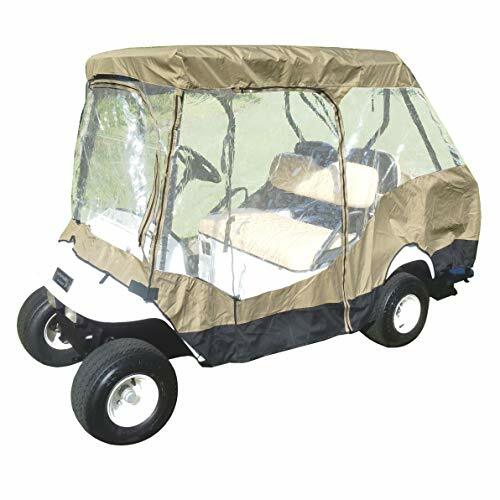 Durable golf cart cover use the high quantity material 600D polyester, which is more tear-resistant and UV-resistant than 200D 400D material. 2. Double stitching and waterproof seam sealing tape by Porch Shield high level workman ship prevents every drop of water. 3. Adjustable for elastic hem cord and buckle strap fit the golf cart better and reduce being blown away by the wind properly. 4. 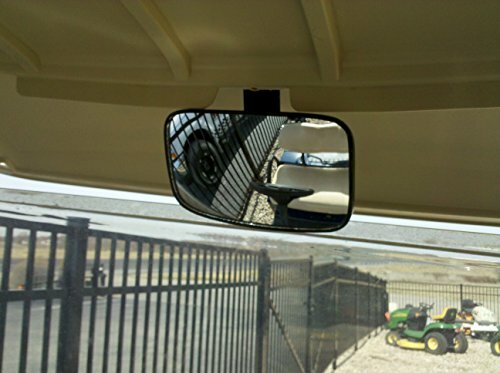 Double air vents make it breathable to protect your golf cart for mildew, rust, and overheating. 5. Heavy duty zipper is very easy to pull on and off, and the velcro at the base keep it from pulling apart. 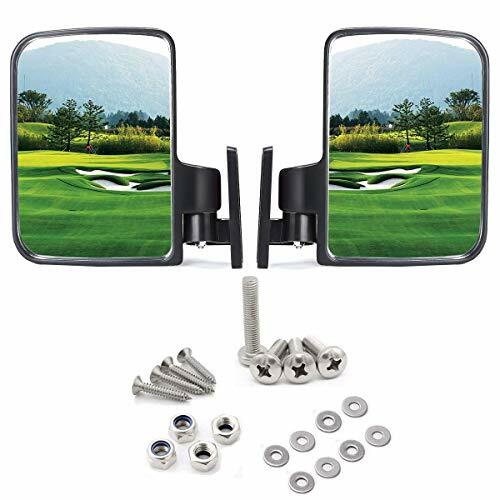 Simply use with zipper when you need to get in and out of golf cart. 6. Suits for most electric or gas 2/4 seat golf cart with Yamaha, Honda, Club Car, EZGO. 7. Storage in bag when not use, the material still keep smooth and soft. 8. Before removing the cover, you should untie all buckles and unzip all zippers. No matter how long use, the fabric is still soft, never hurt your machine. 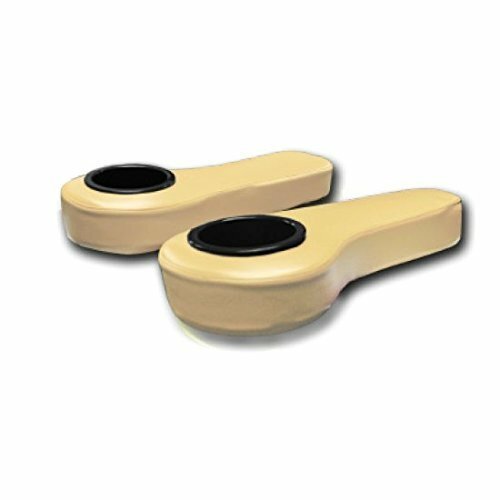 Tan reduce staining your golf cart. We are totally obsessive about quality and customer service, if you have any questions, please get in touch and we will do everything we can to solve them. For more high quality items, please visit Explore Land Amazon Store. 2 passenger golf cart cover size: 95L x 48 W x 66H inch. 4 passenger golf cart cover size: 108L x 48 W x66H inch. 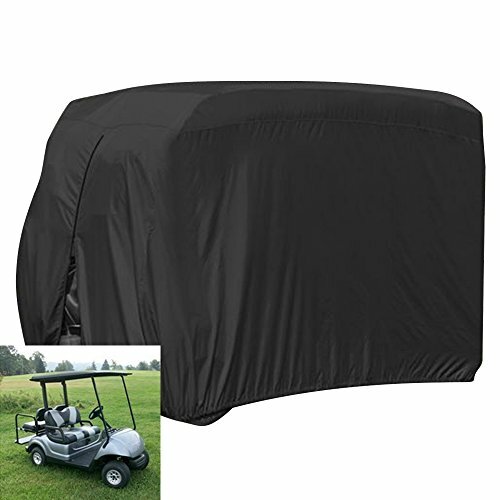 Universal cover fits for most brand golf cart such as Yamaha, Honda, Club Car, EZGO. Dual air vents added for better ventilation for long-term storage situation, reduces the possibility of overheating and mildew. Bonus a storage bag. 3 years warranty. Unzip this attractive Golf Seat Blanket by Classic Accessories and you'll have instant protection from cold, damp or dirty golf car seats. Polyester. Houndstooth quilted top with plush fleece backing and reflective piping. Fits most two-person golf cart seats with arm rests. Wipe-clean, water-resistant heavy-duty fabric. Quickly secures over golf cart arm rests. Exterior pocket offers storage. Reversible design combines a water resistant cover with a warm blanket. Quilted top with plush fleece backing, machine washable. Blanket zips into its own built in carrying bag. Guaranteed for workmanship and materials for 1 year after purchase. Made in China. Model Number: 4003132. Global Matter Wing,we have been committed to the production of golf cart accessories, has been more than 10 years of production experience. Our products are exported to the world and also are the main source of goods for several major golf cart accessories vendors in the United States. Be good quaulity and low price.Production of the highest cost performance of the accessories is the goal we have been working hard. How many times have you had passengers on your rear seat kit ask for some place to put their beverages? Our rear seat arm rests will allow your passengers to safely place their beverage in the cup holder allowing them to use both hands to hold on. Fits most of 2 seater golf cart EZgo and Club Car with Bench seat. Commercial grade side door zipper. This will NOT fit 4 seater long roof. About us Global Matter Wing,we have been committed to the production of golf cart accessories, has been more than 10 years of production experience. Our products are exported to the world and also are the main source of goods for several major golf cart accessories vendors in the United States. Be good quaulity and low price.Production of the highest cost performance of the accessories is the goal we have been working hard. Want to make your golf car more personal, more match your taste? 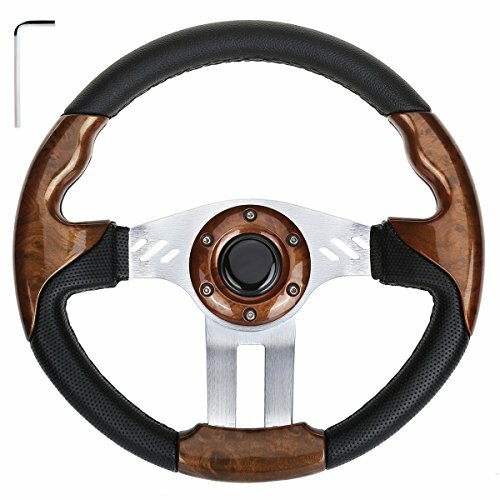 Come and buy our personalized steering wheel now! Kinds of designs, multiple colors, suitable for most of cart (just change / add matching converter), they will make your golf cart more distinctive. Do you want to concentrate on your golf game without distractions of looking for various tools in your bag? Golfer's Best Tool is the answer! It clips to your belt and provides you all the help needed: Magnetic ball marker to mark your ball's spot on the green, club cleaning brush, stroke count clicker with quick reset button, golf shoe cleat tightener, club groove cleaner, which can repair divots, and bottle opener with flat head screwdriver. Now you can pay undivided attention to your game and leave the rest to the Golfer's Best Tool! Golftool can also be a great promotional item, souvenir or gift idea for any golf course, corporate event, or tournament. Buy for a friend or a loved one and save together. This mirror is applied via two self-tapping screws. MAKE SURE YOU HAVE A SUITABLE MOUNTING PLACE! 4 "x8" viewing area!! Easy installation with the two self tapping screws. Glass front with black plastic backing. Metal bracket to attach the mirror to the cart. Glass Mirror to help see behind you! such as EZ Go, Club Car, . 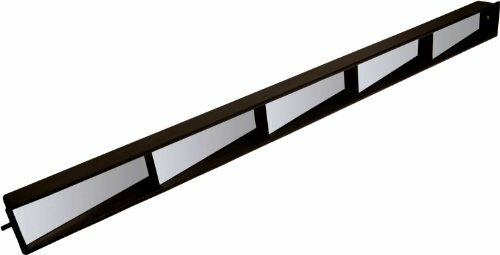 BROADEN YOUR HORIZON - 7.1*5.5In large glass mirror with convex lens design, offers you a wider vision, clearly catch sight of the rear upcoming vehicles. 180 ADJUSTABLE VIEWING DESIGN - Embedded with a adjustable joint, easy to adjust front&back for the desired visual angle. 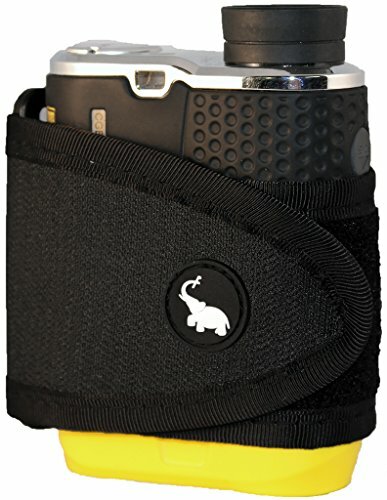 PREMIUM CONSTRUCTION - Made of impact PP shell, glass lens and durable ABS clamps. The whole set of mirror is wear and corrosion resistant, suitable for all kind of weather condition. 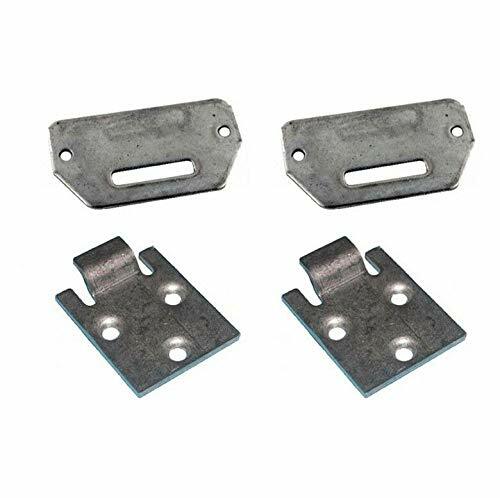 WIDE SUITABILITY - The package included with 2 sets of mounting tools, which used for hollow objects and solid objects, suitable for most of golf cart. WARRANTY - AUDEW offers 180 days replacement & 90 days refund (Non-artificial damage) & 24 hours friendly customer service. If there is any problem with your products, please contact us in time, we'll help you solve the problems. So order it with confidence! 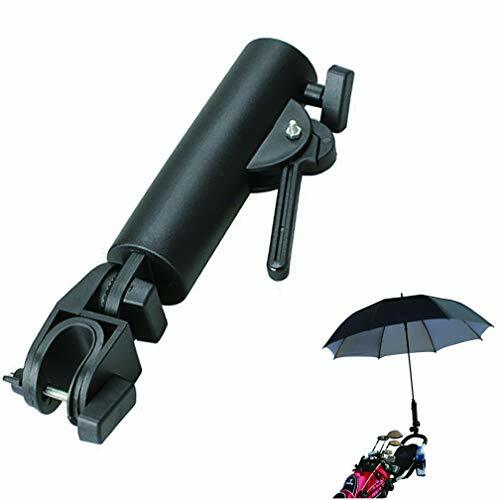 Double Fixation: Very solid golf trolley umbrella holder, great to fix your umbrella to protect you from sunshine or rain. Adjusttable: Could adjust the inner width, so it holds most of golf umbrellas; Could adjust verable angle, so you can move the direction of umbrella you need. Ergonomic Design: Levers designed to keep the umbrella in tact to ensure high winds don't blow your umbrella away. Easy to install: Clamp mechanism easily attaches to existing cart frame.